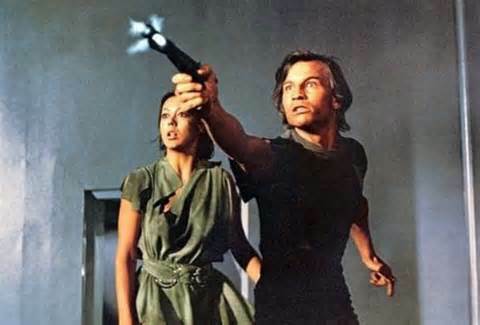 Logan’s Run is a classic late-1960s sci-fi novel and mid-1970s cult film that has been in remake limbo for years with the likes of X-Men series head Bryan Singer and Nicolas Winding Refn being names who have been developing the remake, but eventually dropped off the project. Enter Ken Levine, creator of the Bioshock video game series. Warner Bros’ Jon Berg managed to get Levine on for the remake. This will be a bit of a step outside of familiar skin for Ken Levine who focused mostly on gaming for the bulk of his career with his Irrational Games studio. The studio released the latest in the acclaimed Bioshock series—Bioshock Infinite—March 26th to a large amount of success and praise. With Ken Levine in the director’s chair for the Logan’s Run remake, it could be one of those situations where the remake of a 1970s or 1980s classic actually turned out good and true to the feeling of the original—unlike say Death Race and the still-on-the-fence remakes of Toxic Avenger and Death Wish (in Toxic Avenger’s defense Arnold Schwarzenegger is supposed to be part of it, so it could come out solid at least). For those unfamiliar with the source material of Logan’s Run, it was written by the team of William F. Nolan and George Clayton Johnson in 1967. It is about a dystopian society in the early part of the 22nd century—2116 to be exact—where all people are to be executed at 21 to keep the population of the world stable. People who run from execution are labeled “runners”. In the 1976 film directed by Michael Anderson—with Michael York in the lead as Logan 5—the maximum age was 30 and the earth is a post-apocalyptic one. The film is different from the book in more ways just uses the foundation of the novel—age-regulated population control—and approach it with a more mainstream-like sci-fi style, something more digestible for movie goers at the time. As a fan of the original Logan’s Run film—and roughly any sci-fi and/or action film from 1970s and 1980s, as cheesy as they were they kept things going and didn’t get too bogged down with story—I’m looking forward to this. I would love to say “Only good can come of this,” but you can never really tell until trailers and the full film hits. Sometimes you score gold and diamonds with a remake or reboot—such as Man of Steel, Dark Knight, The Amazing Spider-Man, Conan, and The Punisher (the third film, second in the 2000s)—or you could end up with…something less than copper. Other films that could probably get a proper, modern remake or reboot include Get Carter—a film I greatly enjoyed—and the American Ninja series. Yes, those solid at best mid-to-late 1980s martial arts films. Actually, there should be a sequel to Commando as well. If Hollywood is leaning towards remakes and reboots, they should at least go with fool-proof films that can get by on mostly explosives and action, right? Of course they should. As a safe balance, I’ll say I’m looking forward to the reboot seeing the light of day and nearing something in the way of actually being made, but I’m uncertain about the final product. If things fall through again there’s always Syfy. They’re guaranteed to get a film out on a franchise—even if it comes off as B or C-grade. Since series are big in films now, the other Logan books could see something resembling film adaptations. Are you looking forward to the Logan’s Run remake? Are you one those who have been waiting for it for years now?